SAFE FOR CHILDREN - With its built-in safety cut-off feature activated when receptacle is removed. 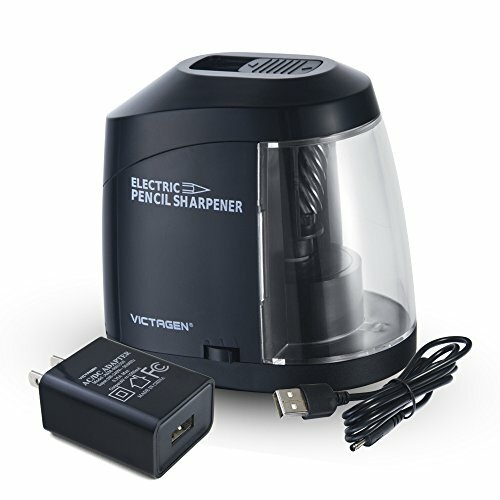 Sharpener will auto stop when finish sharpening and when pencil removed. And it will not operate when shaving door is moved, it's very safe for kids.